LTE is designed to work across a number of frequency bands – E-UTRA operating bands- currently ranging from 450 MHz up to 3.8GHz. The available bandwidths are also flexible starting with 1.4 MHz up to 20 MHz with Carrier Aggregation allowing use of wider multiples. LTE is developed to support both the time division duplex technology (TDD) as well as frequency division duplex (FDD). Availability of specific bands varies per country and operator. There are a growing number of LTE frequency bands that are being designated as possibilities for use with LTE. Many of the LTE frequency bands are already in use for other cellular systems, whereas other LTE bands are new and being introduced as other users are re-allocated spectrum elsewhere. There is a large number of allocations or radio spectrum that has been reserved for FDD, frequency division duplex, LTE use. The FDD LTE frequency bands are paired to allow simultaneous transmission on two frequencies. The bands also have a sufficient separation to enable the transmitted signals not to unduly impair the receiver performance. If the signals are too close then the receiver may be “blocked” and the sensitivity impaired. 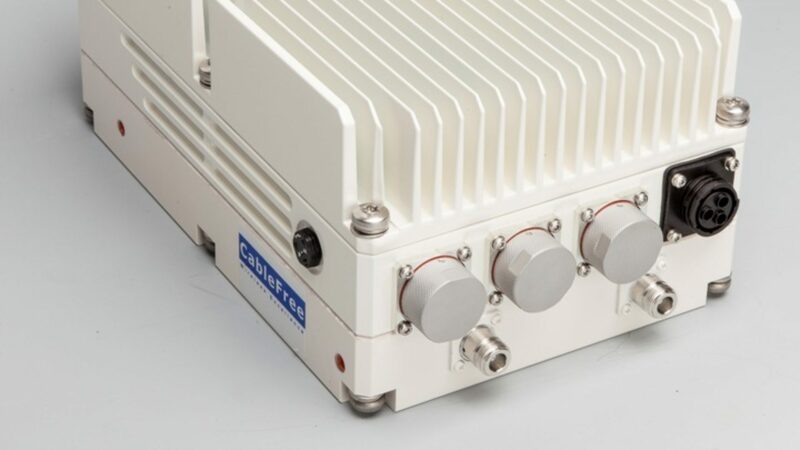 The separation must be sufficient to enable the roll-off of the antenna filtering to give sufficient attenuation of the transmitted signal within the receive band. FDD LTE is popular for traditional cellular operators who already have established 2G and 3G services, where spectrum is traditionally “paired” as FDD. From Tables 5.5-1 “E-UTRA Operating Bands” and 5.6.1-1 “E-UTRA Channel Bandwidth” of 3GPP TS 36.101, the following table lists the specified frequency bands of LTE and the channel bandwidths each band supports. Superseded bands are indicated by a grey background. There are regular additions to the LTE frequency bands / LTE spectrum allocations as a result of negotiations at the ITU regulatory meetings. These LTE allocations are resulting in part from the digital dividend, and also from the pressure caused by the ever growing need for mobile communications. Many of the new LTE spectrum allocations are relatively small, often 10 – 20MHz in bandwidth, and this is a cause for concern. With LTE-Advanced using channel aggregation to use bandwidths of 100 MHz, channel aggregation over a wide set of frequencies many be needed, availability of sufficient spectrum has been recognised as a significant technological problem. There are many different bands that are being allocated for use with LTE. These bands are defined on the previous page. On this page, additional notes and information are given about these different LTE bands. The number of bands allocated for use has increased as the pressure increases on spectrum. It has not been possible for all LTE band allocations to be the same across the globe because of the different regulatory positions in different countries. It has not been possible to gain global allocations. In some cases bands appear to overlap. This is because of the different levels of availability around the globe. This means that roaming with LTE may have some limitations as not all handsets or UEs will be able to access the same frequencies. There are a few notes that can give some background to the LTE bands defined in the table on the previous page. LTE Band 1: This is one of the paired bands that was defined for the 3G UTRA and 3GPP rel 99. LTE Band 4: This LTE band was introduced as a new band for the Americas at the World (Administrative) Radio Conference, WRC-2000. This international conference is where international spectrum allocations are agreed. The downlink of band 4 overlaps with the downlink for Band 1. This facilitates roaming. LTE Band 10: This band is an extension to Band 4 and may not be available everywhere. It provides an increase from 45 MHz bandwidth (paired) to 60 MHz paired. LTE Band 11: This “1500 MHz” band is identified by 3GPP as a Japanese band, but it is allocated globally to the mobile service on a “co-primary basis”. LTE Band 13: This band was previously used for broadcasting and has been released as a result of the “Digital Dividend.” The duplex configuration is reversed from the standard, having the uplink higher in frequency than the downlink. LTE Band 14: This band was previously used for broadcasting and has been released as a result of the “Digital Dividend.” The duplex configuration is reversed from the standard, having the uplink higher in frequency than the downlink. LTE Band 15: This LTE band has been defined by ETSI for use in Europe, but this has not been adopted by 3GPP. This band combines two nominally TDD bands to provide one FDD band. LTE Band 16: This LTE band has been defined by ETSI for use in Europe, but this has not been adopted by 3GPP. This band combines two nominally TDD bands to provide one FDD band. LTE Band 20: The duplex configuration is reversed from the standard, having the uplink higher in frequency than the downlink. LTE Band 21: This “1500 MHz” band is identified by 3GPP as a Japanese band, but it is allocated globally to the mobile service on a “co-primary basis”. LTE Band 24: The duplex configuration is reversed from the standard, having the uplink higher in frequency than the downlink. LTE Band 33: This was one of the bands defined for unpaired spectrum in Rel 99 of the 3GPP specifications. LTE Band 34: This was one of the bands defined for unpaired spectrum in Rel 99 of the 3GPP specifications. LTE Band 38: This band is in the centre band spacing between the uplink and downlink pairs of LTE band 7. Although 3GPP can defined bands for use in LTE or any other mobile service, the actual allocations are made on an international basis by the ITU are World radio Conferences, and then the individual country administrations can allocate spectrum use in their own countries. 3GPP has no legal basis, and can only work with the various country administrations. Frequency bands may be allocated on a primary and secondary basis. Primary users have the first access to a band, secondary users, in general, may use the band provided they do not cause interference to the primary users.